When you’re on the search for the perfect gift this holiday season, you may feel yourself completely overwhelmed and inundated by the number of newspaper advertisements and holiday sales there are to choose from. 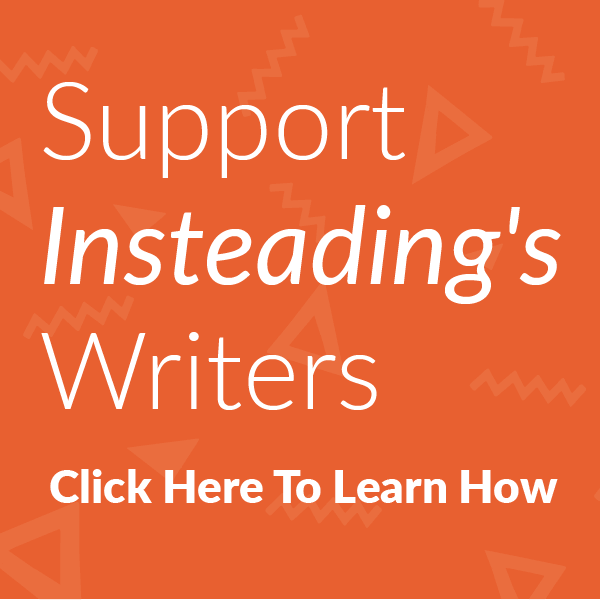 If you’re anything like us here at Insteading, you’re keeping your eye out for a high-quality gift that your family and friends will love. And if it’s eco-friendly and sustainably sourced, then you’ve really hit the jackpot. Back in November, we introduced you to tentree, the sustainable brand that plants ten trees for every item sold. They recently launched their winter holiday collection, and we’ve compiled some of our favorite items that we think you’ll love too. tentree’s dedication to sustainability doesn’t stop at planting ten trees for every item sold. Every article of clothing and accessory sold feature eco-friendly materials that are thoughtfully chosen for each product. Some of the materials you’ll find include recycled polyester, organic cotton, hemp, and cork. tentree’s recycled polyester is made out of recycled bottles and/or PET manufacturing waste. As compared to virgin polyester, recycled polyester offers a 75% reduction in CO2 emissions during manufacturing. And who doesn’t like the idea of turning landfill-bound plastics into some cozy sweatshirts?! Not only is organic cotton generally softer than traditional cotton, but it isn’t grown using traditional harsh chemicals or pesticides. Traditionally grown cotton is said to use more insecticide than any other crop, resulting in adverse effects on our planet as a whole. Organic cotton reduces negative impacts on the environment while providing a quality that is arguably better. Hemp is completely sustainable, pesticide-free, and uses less water in its manufacturing. As compared to traditional cotton, processing hemp requires 50% less water and emits 60% fewer pollutants. As for the final product, hemp clothing is super durable and hypoallergenic, making it a good option for those with more sensitive skin. In many articles of clothing, you’ll find that buttons and drawstring ends are made out of metal, or worse, plastic. tentree, on the other hand, utilizes cork trims that are stripped from the bark of sustainably grown cork trees. Stripping the bark doesn’t harm the tree, in fact, it promotes growth and increases the lifespan of the tree! Whether you’re on the search for the perfect stocking stuffers or have some loved ones that just can’t get enough cozy gear, check out some of tentree’s newest beanies and hats. During the cold and dark days of winter, you may find yourself reaching for an everyday beanie that’s comfy, cozy, and snug in all the right places. The kurt beanie is exactly that. Crafted out of non-mulesed wool and recycled polyester, this soft and cozy beanie is available in four colorways. Leave it slouched or cuff it for a style that is all yours. Wear it on your cold bus commute or take it out to explore with you. This beanie is versatile and will take you from the mountain to the office. Reviewers mention that the kurt beanie is true to size, and it keeps both your head and ears toasty warm when the weather takes a turn. If you’re looking for a beanie that’s a bit more festive, consider tentree’s script pom pom beanie. Available in three different colorways, this beanie is made out of 50% non-mulesed wool and 50% recycled polyester. Featuring a decorative jacquard knit design and script writing, this beanie pairs well with your favorite oversized winter sweater. You’ll find that this beanie tends to fit true to size and will keep you nice and toasty. The great thing about waffle-style material is that it’s lightweight while still keeping you insulated. The waffle escape beanie not only keeps your head and ears warm but it’s stylish as well! Made out of 50% non-mulesed wool and 50% recycled polyester, choose from either lunar rock, red mahogany, or meteorite marled. As with the kurt beanie, the waffle escape beanie can be worn either slouched or folded depending on your preference. Pair this beanie with a denim jacket, your favorite pair of boots, and an oversized sweater for the perfect fall or winter look. We all know someone with a baseball hat collection. But do we all know someone with a hat made out of sustainably harvested cork? The altitude hat is made out of 89% organic cotton and 11% chambray, while the crown is 100% cork. The fashion-forward snapback design makes size adjustments a breeze, while the subtle tentree logo is the cherry on top. Who doesn’t love warm fingers and toes in the dead of winter? For the person in your life who is always cold, consider getting them eco-friendly socks and mittens! Available in a variety of patterns and colors, these cabin socks are made out of 70% recycled polyester sourced from plastic bottles. And when you kick your feet up at the end of a long day, you’ll remind everyone to “plant trees”—it’s written on the bottom! Made out of REPREVE polyester, these socks each contain three water bottles that would otherwise end up in a landfill! The neutral colors of these socks make them a good fit for just about any occasion in your life, whether it’s going to the office or hiking up a mountain. Finish off your winter look with a pair of these cozy mittens! Available in a variety of colors and patterns, these mittens are made out of 50% non-mulesed wool and 50% recycled polyester to keep those hands nice and toasty warm. The cuffs are ribbed to ensure that the mittens don’t slip off your hands when you need them the most. Who doesn’t love getting a soft and cozy hoodie in the dead of winter? Cozy hoodies and sweaters are a staple holiday gift because you can really never have too many of them. Check out tentree’s latest hoodie options for both men and women. Nothing says cozy like a cowl neck sweater: it’s basically a built-in scarf! The women’s burney hoodie from tentree offers a cozy fit in all the right places, while still maintaining a flattering shape. Choose from three different option for the colorway. This sweater is made out of marled fleece, which consists of 50% organic cotton and 50% recycled polyester. At the end of the drawstrings, you won’t find your standard plastic tabs. Instead, you’ll see natural cork that has been sustainably harvested featuring the tentree logo. This warm and heavyweight sweater will take you from the top of the mountain to a cozy and intimate coffee date without you ever feeling the cool breeze of winter. Made out of a soft and cozy heathered fleece, tentree’s juniper hoodie consists of 60% organic cotton and 40% recycled polyester. The treeline design at the top of the sweatshirt is subtle but also conveys tentree’s core value of sustainability. The drawstrings are finished off with tentree’s signature cork tabs. Who doesn’t love a pair of sweatpants that can actually be worn out of the house? These men’s atlas sweats are comfy and cozy while maintaining a form-fitting style that looks put together. Featuring a structured waistband and tapered legs, these sweats are meant to be worn outside! Made out of 50% organic cotton and 50% recycled polyester to create a soft and cozy marled fleece material, these are sure to become your favorite pair of sweats. Available in burgundy and lunar rock, these eco-friendly sweatpants are heavyweight and will stand up to years of wear and tear. As with the women’s burney hoodie, the drawstrings are finished with sustainably sourced cork tabs, and there is a small cork tentree logo located right below the pocket on the left side of the pants. We all know the feeling. You get home from work, turn on the TV, maybe make yourself a cup of tea, and hop into your favorite comfy sweatpants. These women’s bamone sweatpants from tentree are about to become your go-to! Crafted out of super soft and cozy eco-friendly marled fleece, there are three different colorways to choose from. A combination of 50% organic cotton and 50% recycled polyester makes for a sweatpant that is both cozy and flexible, so you can feel relaxed rather than constricted. Featuring an elastic waistband, tapered legs, and pockets, these sweats are finished off with tentree’s signature cork drawstring tabs.